1. Start a new trip reservation by tapping on the "Book a Trip" button at the bottom of your home screen. 2. In the first screen, you will have to first select the reason for your trip by tapping the first box at the top of the screen called "Reason for the Appointment?" 3. You will now see a list of possible trip reasons to choose from. Scroll through and tap on the reason for the trip you are booking. Tap "OK" to finish your selection. 4. Now you will return to the appointment screen. Next, you will select your appointment date. Tap the second box for "When is the appointment?" 5. Now you can use the date selector to enter the date for your trip. Each column can be scrolled up or down to select the correct month, day and year. When you have selected the correct date for your trip, tap "OK" at the bottom of the screen. Note: you will not be able to select a date within 48 hours of the current date. 6. Now on the appointment screen you will select the time of your appointment. Tap the third box for "What time is the appointment?" 7. You will now have a screen where you can scroll to select your appointment time. Note that this should be the time of your appointment, not the time you need to be picked up. 8. You will now return to the appointment screen. Tap on the fourth box titled "Do you have this trip more than once?". 9. Use this screen to select if this trip repeats and how often it repeats. If you are booking a single trip, select "Just once" and tap "OK". 10. If you have a repeating trip, select how often this trip repeats. Once you’ve selected the week frequency, you will be able to select what days of the week the trip will repeat. Select all the days of the week that you will have this appointment. 11. You must also set the end date of this repeating appointment. If it does not end, select "Does Not End" and tap "OK". If If your repeating appointment has an end date, tap "Set End Date." 12. Use the date selector to scroll to the final date of this repeating appointment. Tap "OK". 13. Confirm that the end date for your repeating appointment is correct and tap "OK" at the bottom of the screen. If you do not want this trip to repeat and need to change your selection, tap on "EXIT" in the top right corner to go back to the appointment screen. 14. On the appointment screen, confirm your information is accurate. If you need to edit anything, tap the small blue pencil on the right of the information you need to change to update it. If it's all correct, you can tap "Next" at the bottom of the screen. 15. On the next screen select if your trip is one way or a round trip. 16. Now tap on the first box for "Where should we pick you up?" 17. Set your pickup address, or the name of the location for your pickup. You will see results matching what you type as you enter it, tap on the location you want from that list. If you do not see a result matching the location you intend, double check the address or location name. If you still do not see your location, it may not be an approved address or facility. In this case, please contact you health plan to verify this address and add it to your available addresses for trips. 18. After you've entered your pickup address, you'll go back to the transportation screen to enter your drop-off address. Tap the second box for "Where is your appointment?" 19. Enter your appointment address or the name of the location where you need to be dropped off. You will see results matching what you type as you enter it, tap on the location you want from that list. If you do not see a result matching the location you intend, double check the address or location name. If you still do not see your location, it may not be an approved address or facility. In this case, please contact you health plan to verify this address and add it to your available addresses for trips. 20. If you have selected for this to be a round trip, you will now need to set your return trip time. Tap the third box that says "When do you need a tide back?" If you have selected a one way trip, skip to step 22. 21. If you want to set up a will call return, tap "Pickup On Request", this means you will have a return trip set up and can call in when you're ready to be picked up for your return to activate your return trip. If you know when your appointment will end and have a specific pick up time you need for your return trip, tap "Set time" and you will select your time on the next screen, shown below. Scroll to your pickup time and tap "OK". 22. On the transportation screen, you can confirm your trip information. If anything needs to be changed, tap the small blue pencil to the right of the information you'd like to change to edit it. If everything looks correct, tap "Next" at the bottom of the screen. 23. Now you're on the trip details screen where you can confirm your details. Tap the first box to confirm your vehicle type called "What type of vehicle do you need?" 24. This screen will show your selected vehicle type. If your vehicle type is correct, tap "OK" at the bottom of the screen to confirm it. To change your vehicle type call the number on the screen. 25. Back on the trip details page, you can set if you have any specific needs, which are certain conditions that need to be listed for this trip. Tap the second box called "Do you have any specific needs?" 26. Select any conditions from the list that need to be listed on the trip. You can select these by tapping on them, and tap "OK" when you're done. 27. Back on the trip details page, you can set if you have any personal items for this trip, which includes any equipment you need for the trip. Tap the third box called "Bringing any personal items?" 28. Select any items you will be needing for this trip by tapping on them. When you are done selecting the items you need, tap "OK" at the bottom of the screen. 29. On the trip details page, you can now select if you require any additional people to attend you on this trip. Tap "Any companions riding with you?" 30. Select if you will need to bring a medically necessary attendant with you. Also select how many additional companions you will need for this trip from zero to three. When you are finished, tap "OK" at the bottom of the screen. 31. Now you can see your trip details, if anything needs to be changed, tap the small blue pencil on the right of the information you need to change to edit. If everything is correct, tap "Next" at the bottom of the screen. 32. Now select the contact phone number for this trip. This is the person who will be called to confirm the trip. Once you've selected the contact number, tap "OK" at the bottom of the screen. 33. Now you will be on the trip confirmation page. Confirm all your trip information is correct. If anything needs to be changed, tap the small blue pencil on the right of the information you need to change to edit. Once everything is correct, tap "Request Trip" to request your trip with Veyo. 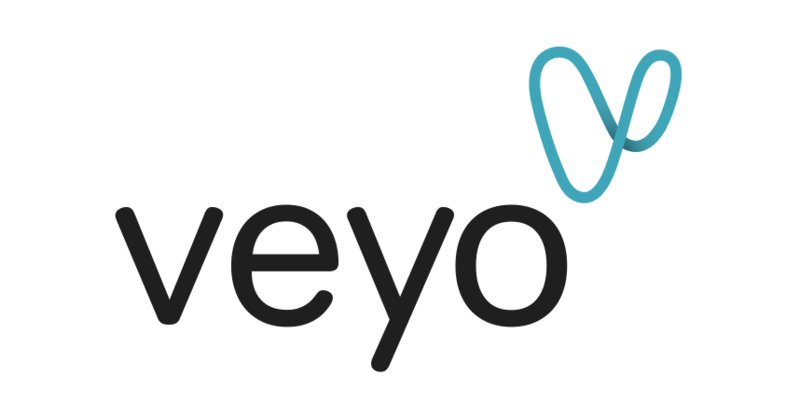 Thank you for riding with Veyo!